From time to time during my travels, I come across signs that I find interesting for one reason or another. Sometimes, they contain clever writing, are humorous, or remind me of some place or event. Here are some more, from trips to Italy, Jordan, and France. 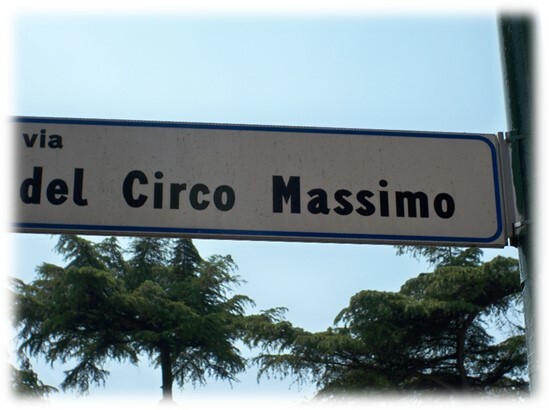 Remember the good old Circus Maximus? It was the Roman equivalent of a modern-day Gran Prix, just with chariots instead of racing cars. Well, this road runs right by that site in Rome. 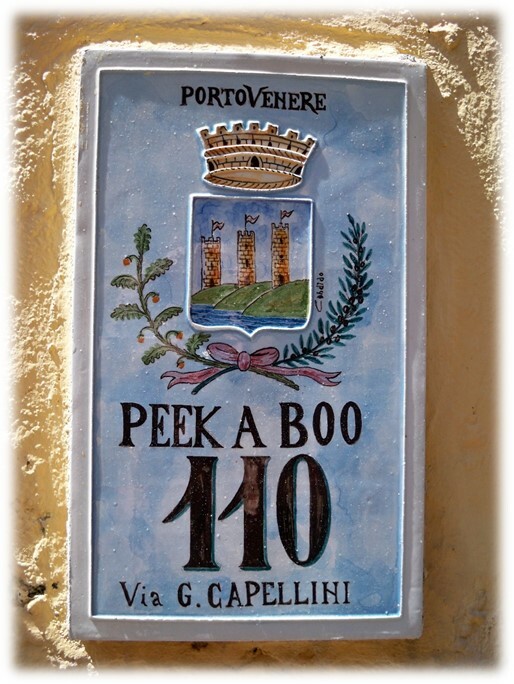 Now the address of this house is 110 G. Capellini Street, in the Italian coastal town of Porto Venere. However, the PEEK A BOO bit seems to have been a flourish added by the builder or the owner. I unexpectedly stayed in that town for three nights. I was on my way to the famous Cinque Terre towns nearby, but couldn't get there due to a rail strike. So, I took a bus to Porto Venere instead, where I had a wonderful time. Some days later, I took a ferry up the coast to where I'd originally planned to be. In travel (and in life), always have a Plan B, even for Plan B! 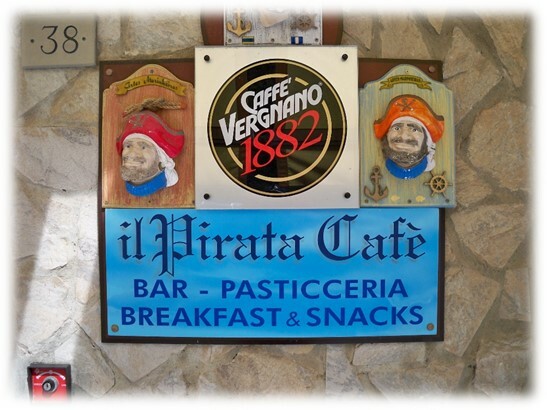 The Pirate's Café in the quaint town of Vernazza, in the famous Cinque Terre, on the northwest coast of Italy. I was based in that town during my hikes between the five towns. Although I went by this cafe on numerous occasions, I never saw any people with eyepatches, peg legs, cutlasses, or striped shirts. Perhaps they were all out to sea! BTW, pasticceria is Italian for pastry shop. 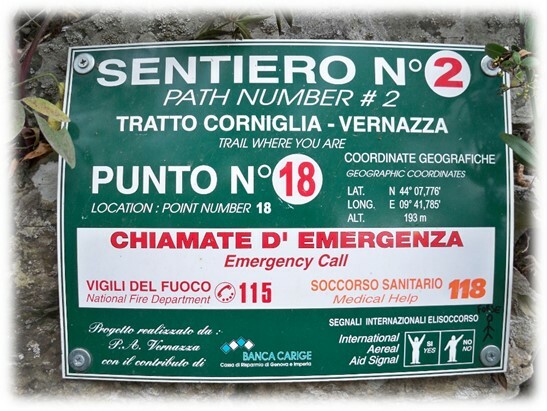 A sign on the trail between Vernazza and Corniglia in the Cinque Terre towns. These were present every kilometer or so and were accompanied by some sort of box for emergency communications. Given the very rugged nature of the trail, it wasn't at all clear to me how one might be evacuated in a real emergency. 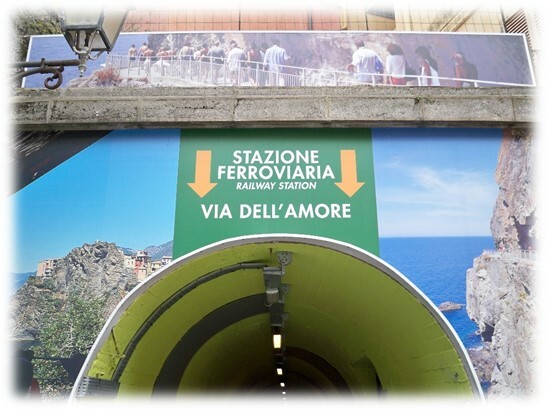 I say, "Beware of any train station that you must enter through a Tunnel of Love." From a Cinque Terre town. The sign says it all, don't you think? 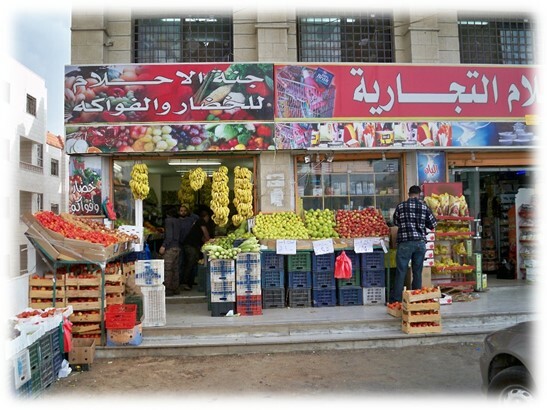 A convenience store in the suburbs of Amman, Jordan. 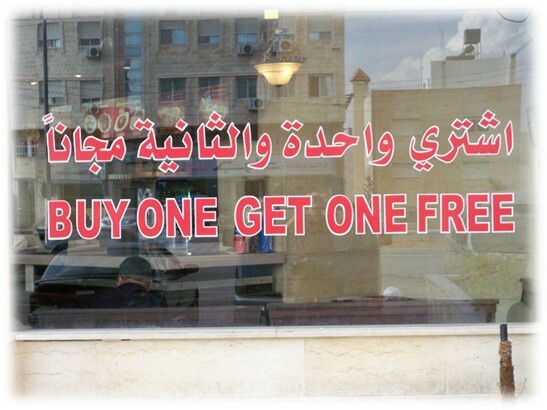 Don't forget to read it right-to-left; it's Arabic! BTW, the Greeks founded Amman, but they called it Philadelphia. 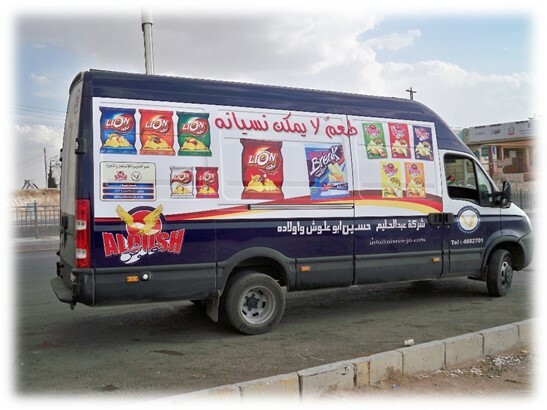 Being a non-recovering potato chip-aholic, this delivery van caught my eye. However, on closer inspection, the writing said something like, "The chips are all locked in a safe, and the driver does not have the key!" In the suburbs of Amman, Jordan. Sound too good to be true? I'd read the fine print if I were you! 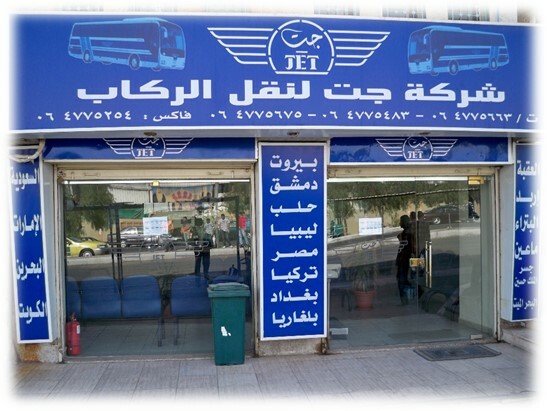 The JET Bus Terminal in Amman, Jordan. Can you read the list of destinations? Me neither, which is why I had a Palestinian guide with me. In Arabic, he asked for two tickets to Petra, and after much smiling and such, we paid and boarded a bus, supposedly headed for that place. Imagine my surprise when we drove right by the exit to that old city, and went right on to Aqaba on the Red Sea coast! Don't you hate that when that happens! Well, four hours and a US$50-taxi ride later, we arrived at Petra. C'est la vie! Or as they say in Arabic, "إنها الحياة!" 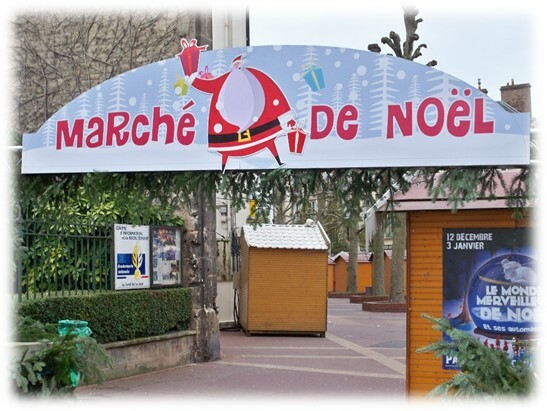 Literally, "A Christmas Market", in Caen, in Normandy, France. BTW, in French, Santa Clause is Père Noël, which literally is Father Christmas, the name used throughout the British Commonwealth. From Caen, in Normandy, France. 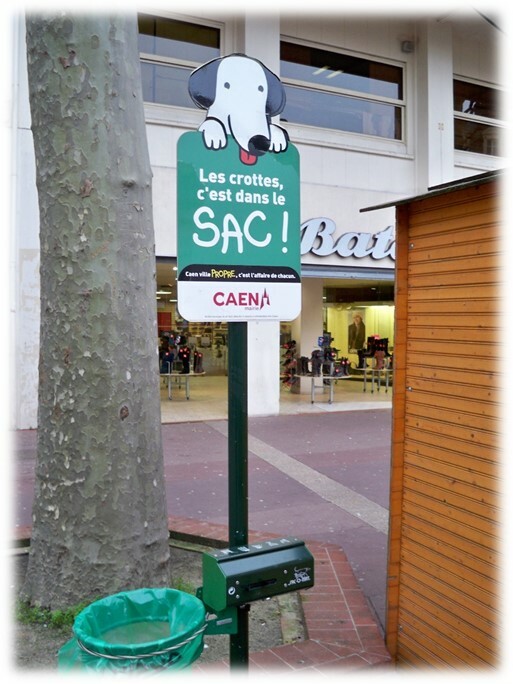 "Put Fifi and Fido's droppings in the bag provided, if you please!" 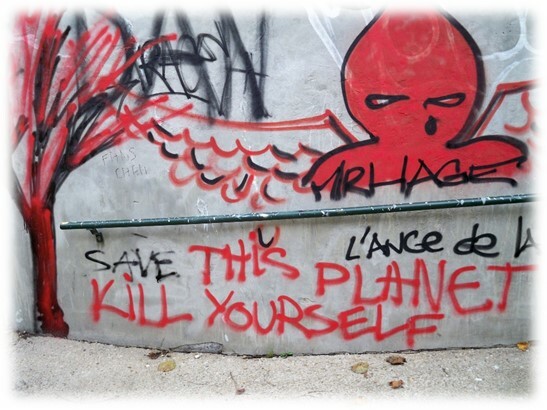 Some advice from the French in Caen. 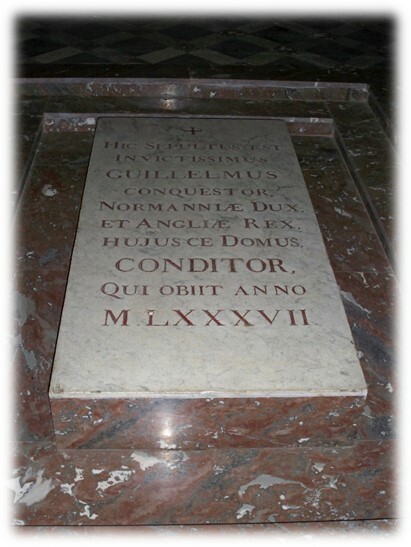 Roughly translated from the French, "Here lies William the Conqueror; may he Rise if Possible!" In the Abbaye-aux-Hommes in Caen, in Normandy, France. Okay, let me see if I have this correct: I can confess my sins between 18:00 and 19:00, on Mondays with Father Brillaud, and on Tuedays through Fridays with Father Cheese! 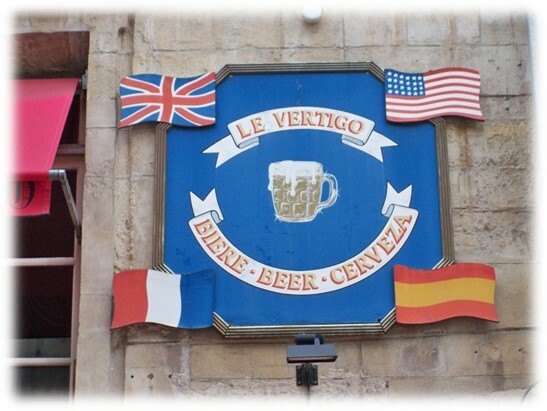 A French drinking establishment called—yes it's the same in English—Vertigo, which doesn't seem at all like an enticing name for such a place. "Step right in and get dizzy and lose your balance wth us!" 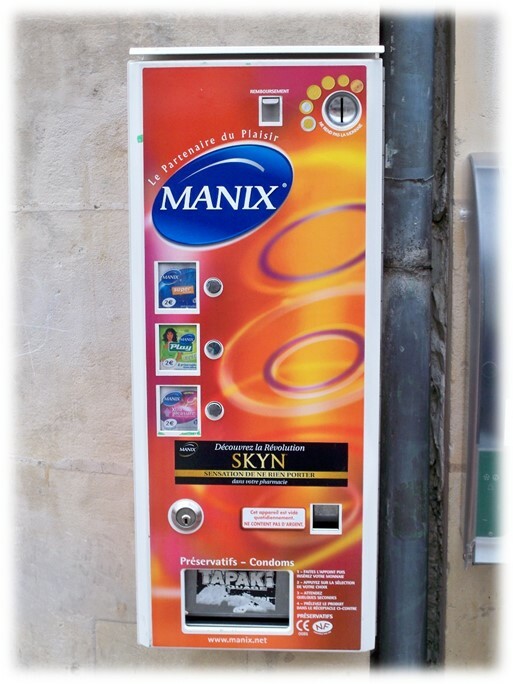 A French "Pleasure Partner" condom (préservatif) vending machine, from inside the confessional mentioned earlier!